Minecraft is a hugely popular sandbox game which entails placing and building blocks and going on adventures. 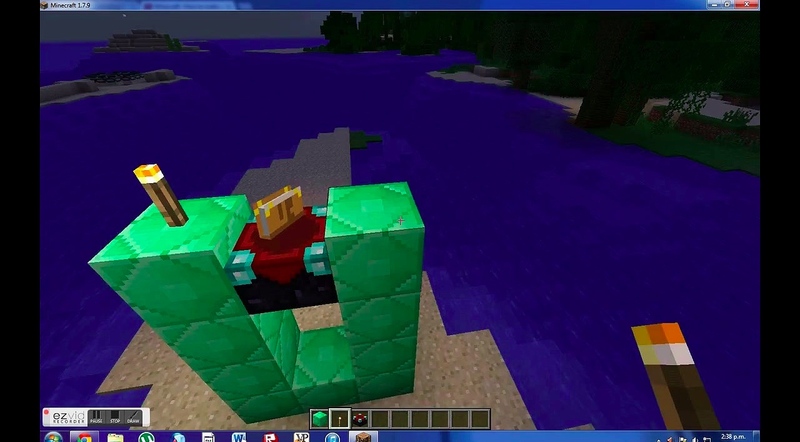 It has swept off YouTube where almost every budding gaming enthusiast is uploading videos of their Minecraft wizardry. The common thread running here is: they all use a screen recorder. And, a good one at that. 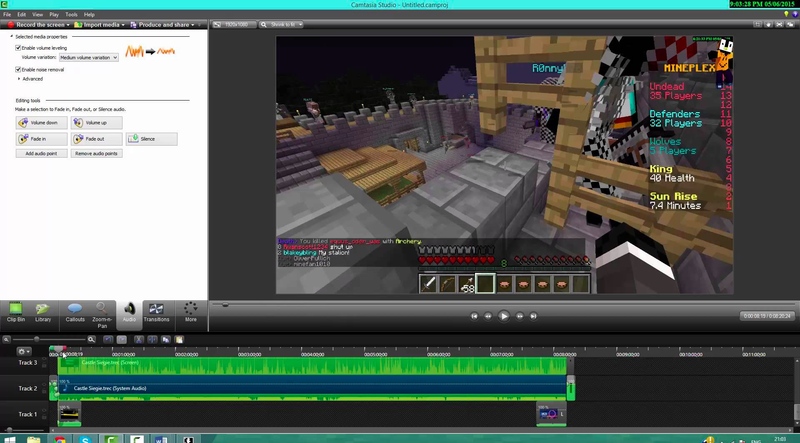 If you also want to clock in views on your Minecraft exploits, you ought to have a decent screen recorder. 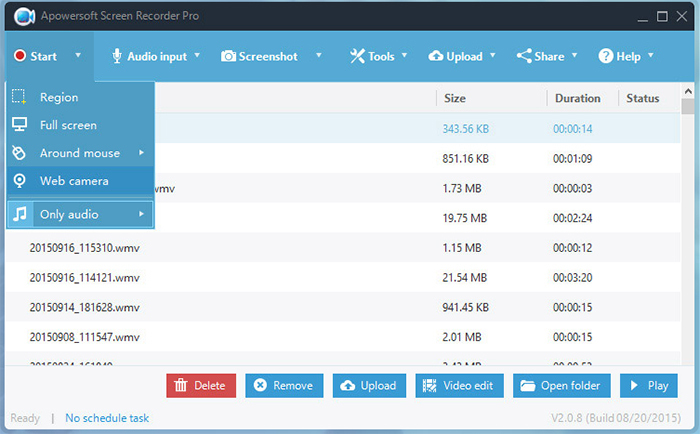 There are both free and paid screen recording software available on the market. But, why waste your money when a free screen recorder is as good as a premium one? Here is our list of the best free screen recorders for Minecraft that will give you plenty of options to choose from and exhibit your Minecraft gameplays fluidly. Widely used as a gameplay recorder for its game recording mode, Bandicam is a surefire no-brainer when it comes to recording your whole screen or just a portion of it with audio. Bandicam can effortlessly record and sync the sounds from the Minecraft gameplays simultaneously. Which is why it is counted amongst some of the best free screen recorders for Minecraft. What’s more – you can save the screen recording in AVI or MP4 files with brilliant audio quality. Also, while recording Minecraft, Bandicam displays the FPS number on the screen which can also be adjusted, if necessary. Moreover, Bandicam allows you to freely add lines and highlights during the recording process thanks to its real-time drawing function. Once you are through with recording, Bandicam allows you to upload and share the Minecraft video to YouTube without even video conversion thanks to its YouTube-friendly preset. 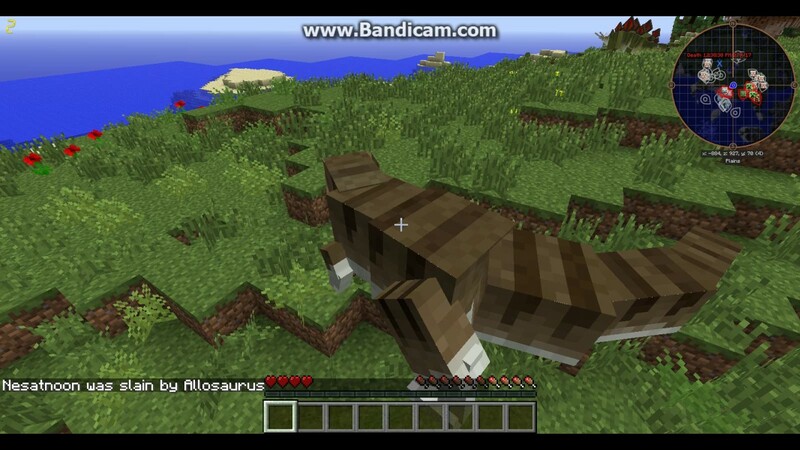 So much so, you can even take screenshots to capture your favourite Minecraft gameplay moment in the form of pictures. There is one downside though – some users complain about lags appearing in the video at certain intervals. A marvellous screen recorder that lets you capture Minecraft gameplay videos on your computer with ease and grace, EzVid works best for Windows PC. You can record the Minecraft gameplay to instantly create high quality videos by simply clicking the Screen Capture button. But, the novelty factor that injects EzVid into our list of the best free screen recorders for Minecraft is its gamut of features that enable you to edit your recording, insert slides, draw on screen and change the video speed in a jiffy. Of course, EzVid can also share your Minecraft video on YouTube since it automatically creates videos with optimized settings for YouTube. Moreover, you can also include yourself in the video since this free Minecraft screen recorder supports webcam recording. Albeit, there are some limitations such as: you can only record videos up to 45 minutes, plus you also cannot customize the recording settings whilst recording a video. 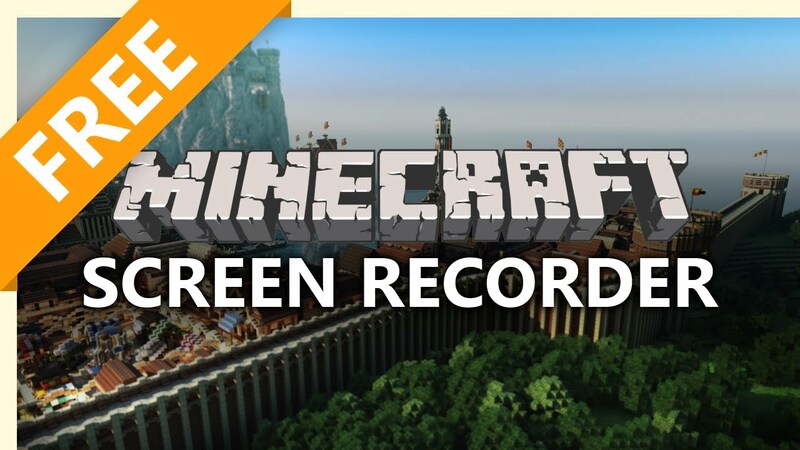 If you are seeking a decent Minecraft screen recorder for Windows with no lags, look no further than AceThinker’s Screen Grabber Pro which is ranked high among the best free screen recorders for Minecraft. A formidable tool for recording in high definition, Screen Grabber Pro lets you create sleek Minecraft tutorial videos with voiceovers/audio for demonstration. Setting it up and running will be a cinch since Screen Grabber Pro is equipped with an intuitive interface that can record anything on your screen in a few clicks. Moreover, you can even use your microphone along with this free screen recorder and it lets you record any specific screen area of the Minecraft game. It supports multiple output formats such as FLV, MPEG, AVI, MP4, and WMV. Of course, Screen Grabber Pro does let you upload and share your videos to YouTube or FTP server as soon as the recording is done. It also supports latest Windows 10 and Mac OS. One of the best free screen recorders for Minecraft if you want to record gameplay online, Apowersoft Screen Recorder saves a lot of disk space and memory/RAM on your computer since it doesn’t need to be downloaded. So, it works like a charm on both Windows PC and Mac computers. If you are using a screen recorder for the first time, Apowersoft can come in handy thanks to its friendly user interface which works as an attractant. However, one major drawback of Apowersoft is that it relies completely on internet connectivity or WiFi environment to record your desktop screen, thus it cannot be used offline or when you have limited connectivity or want to download something. Aiseesoft’s Game Recorder stakes claim to be among the best free screen recorders for Minecraft gamers who are seeking a good solution to record their gaming video/audio. Bolstered by a simple user interface, it can record everything on your computer ranging from YouTube videos, Google Hangouts calls to even capturing movies off Netflix. All of this is possible due to a nuanced mouse cursor that can highlight whatever you are recording, whether it be creating a Minecraft tutorial video or recording audio of an online meeting. Plus, this free Minecraft screen recorder features hotkeys and capture time options making it more convenient to record your Minecraft exploits. Moreover, you can share your Minecraft videos with your friends too. However, one major downside of Aiseesoft Game Recorder is that it does not have any editing functions. 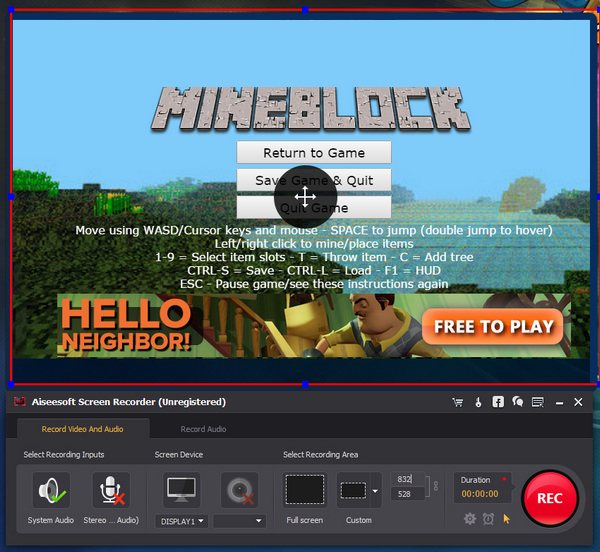 Being an open-source free game screen recording software, CamStudio can deftly create AVI videos of all Minecraft-based audio and video activity on your screen as well as convert your AVI files into SWF format. Thanks to a library of built-in help files, CamStudio becomes an attractant for first time users since it is quite easy-to-use, or as CamStudio’s website claims “you can learn it in a matter of a few minutes”. Moreover, the output file size of the videos is smaller in size compared to other video screen recorders while keeping the quality intact. TinyTake is as comprehensive as it gets when it comes to recording your screen for creating a Minecraft video with audio. With TinyTake’s resources at your disposal, you can capture your screen activity, add annotations and share it on social media sites such as YouTube. You can even add graphics from your local drive for annotating files. There is also an optimized built-in viewer for mobile devices that comes in very handy. 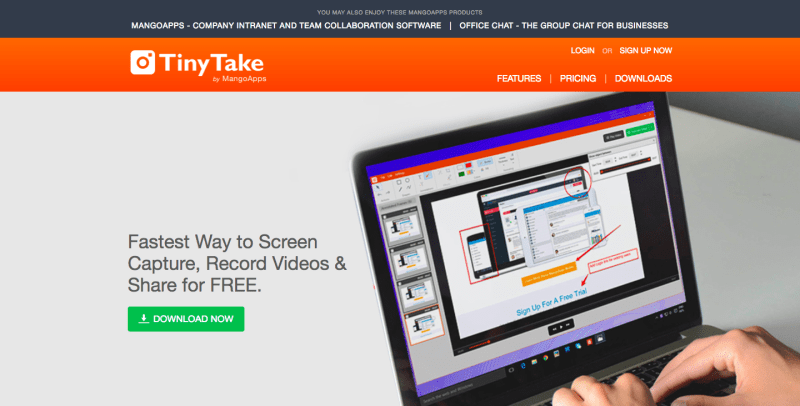 Although, TinyTake advertises itself as a feature-rich screen recorder, many of its features are only available with paid options. Another big limitation is that the free version is not available for commercial usage. And…that’s a wrap! Did you like our roundup of the best free screen recorders for Minecraft? Did we miss out on any free screen recorders that you know of? Sound off in the comments and don’t forget to download these beauties.